Tonight Opeth rolled through town playing at the legendary Burton Cummings Theater. 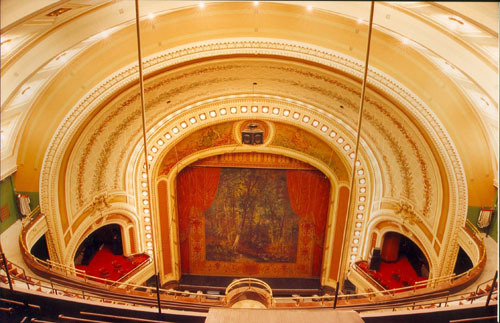 The BCT used to be called the Walker Theater and it was originally opened back in 1907. This building is gorgeous. Obviously its original design was not meant for metal shows, but since the demand for metal concerts has gotten bigger, bans have to look to other venues to sell more tickets. The BCT holds about 1700 people and the sound is excellent. It was designed during a time where there amplifiers of any kind did not exist. The only real problem with the venue is that there are so many seats so you can really start a mosh pit, or crowd surf. I've seen good number of concerts at the BCT and I always look forward to hearing a band play there. Plus, it's probably only venue where you can smell some dude's weed a couple rows ahead only to have it over powered by fresh popcorn being made at the bar. But enough history, let us talks abouts metals. Opeth and Katatonia. Two of Sweden's premiere metal bands performing on the same stage. Awesome. Both of these bands have been around since the early 90s and since their start they've both gone through a number of changes but still managed to retain their fan base. Opeth is currently promoting their latest album, Heritage, which is a daring experiment and a drastic departure from the music that Opeth is known and loved for. Katatonia is also touring in support of their 20th anniversary, but you wouldn't really know it by the music they were playing. 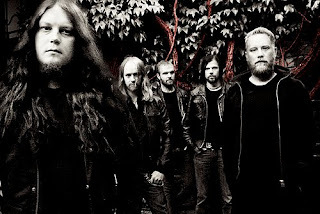 Katatonia took the stage at 8pm sharp. This is my first time seeing Katatonia and I think I remember Jonas Renskse saying this was their first time playing in Winnipeg. After some obligatory nods to the Jets, the band got back into the metal. The majority of the music that they played were their heaving tunes from the last 2 albums. I'm not really complaining because I prefer their heavier stuff to their "sad metal" anyway. The band sounded amazing and I don't know if it was just the fact that these guys have been around for a long time or because the BCT is just built for this stuff. Either way, it was a great way to start a show and their set got me excited for Opeth. Have you had a chance to listen to Opeth's latest album, Heritage, yet? If you're planning on going to the show this month, I suggest you give it a few listens to familiarize yourself with the new tunes because you will be hearing a lot of them. And yes, the rumours are true. There are no death growls on the new album and the music is very laid back, and folksy. I was going to do a review for the site but at the end of the day, Heritage isn't a metal album so it would be unfair to review it in such a matter. I personally haven't taken a shining to the album yet, but some of that has to do with a certain someone making fun of it while I listened to it for the first time. There are some brooding moments to the album like the dark and brutal Opeth we all love, but it's like they forgot their distortion pedals at home when they recorded this album so the songs are missing that aggressiveness to older Opeth songs. However, some of the songs that they performed for us had a lot more balls than their album counterpart which is something I was secretly hoping for. This is my fourth time seeing Opeth and the first time I've seen them in a venue like BCT. Usually for Opeth I like to get into a crowd of metal heads and start moshing around, but as I mentioned, the seats in the BCT make it impossible to get anything like that going. Maybe it was a calculated move on Opeth's part because the music that was played was very laid back and mellow. So instead of running into people, fans were putting up lighters and then shouting for songs from their back catalog between tunes. Instead the audience was treated to a couple acoustic songs and some "obscurities" as Mikael put it. I'm not sure if the majority of the audience was into it, cause I know I really wasn't. It's not that the music Opeth played was terrible or anything. I just felt it could have been better. Hearing Face of Melinda live was a real treat, as was hearing Closure, and I always liked A Fair Judgement. Out of the new stuff, I really liked Slither, and The Devil's Orchard but the rest I didn't really care for. Maybe it's just because I'm getting old and I don't take change as well as I thought. I probably should have listened to the new album a few more times and then I would've had a better appreciation for it come showtime. As I write this I'm listening to Blackwater Park and getting my Opeth fix through a set of headphones sitting in front of a computer. You can take that last comment however you want. 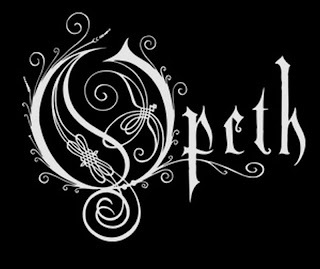 Here's a list of the dates for the rest of Opeth's tour. I recommend that you only go if you're totally down with the new album and you're looking to enjoy a laid back rock concert instead of a crazy metal show. 8-bit Metal Mondays: My turn!